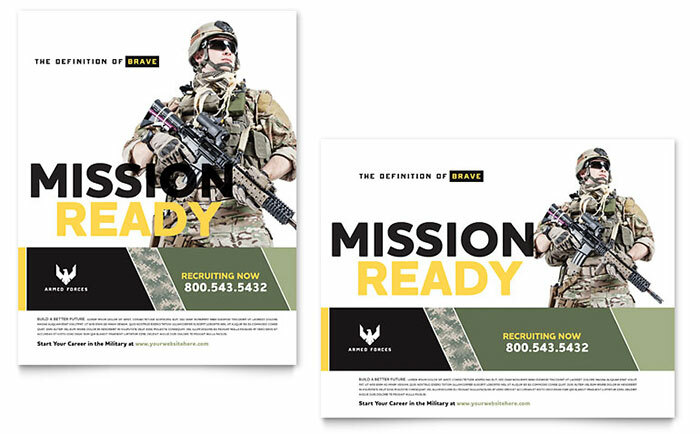 Get mission-ready marketing templates for military-themed events that honor our armed forces, heroes and veterans. 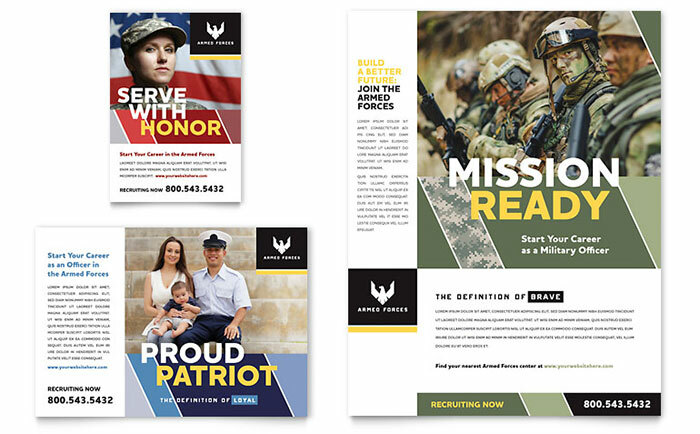 Create patriotic brochures, flyers, ads, and posters with these designs from StockLayouts. 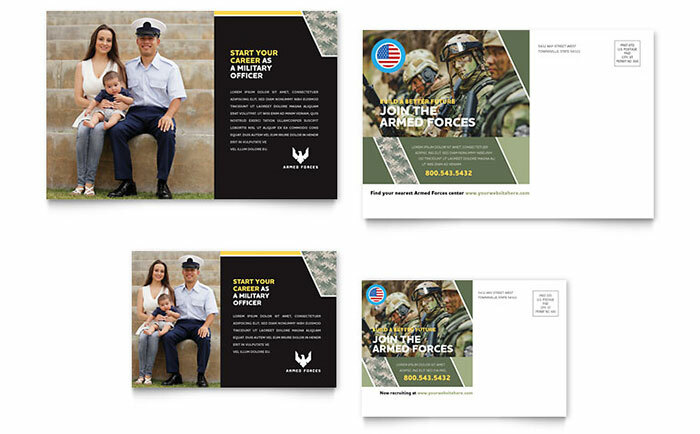 View more graphic designs for military-themed events from StockLayouts. 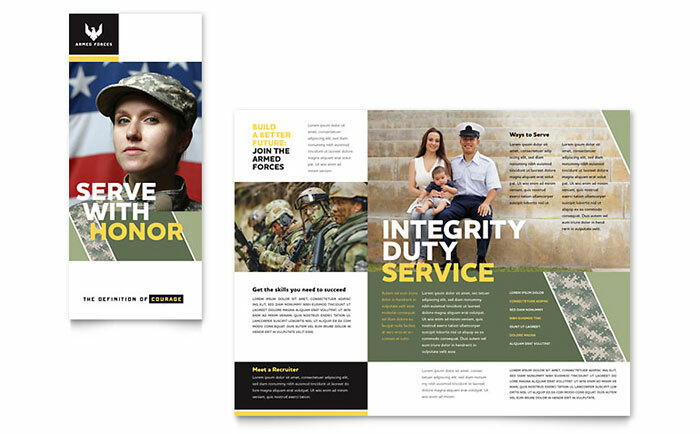 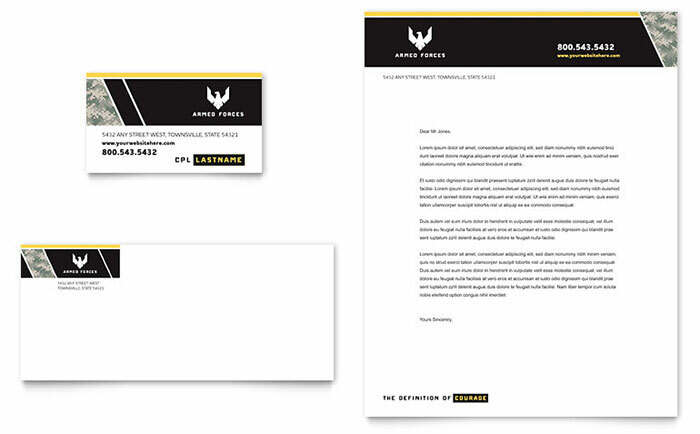 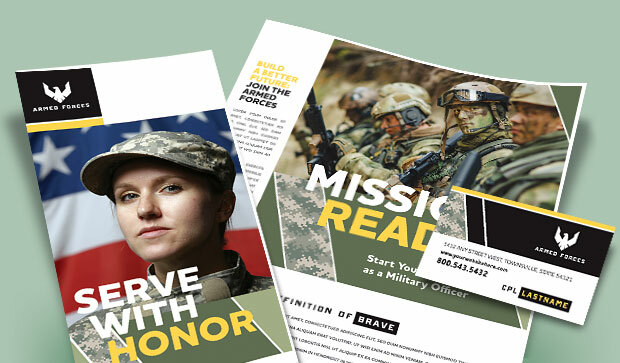 Create marketing materials for military recruiting with Microsoft Word & Publisher templates at LayoutReady.com.